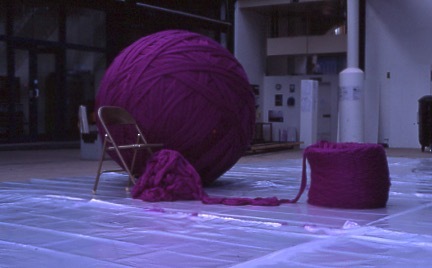 Challenging the traditional demarcation of art and design Cries and Whispers was included in ‘SAFE’, a large-scale exhibition of objects designed to protect the body and mind, presented at the Museum of Modern Art, New York in 2005. 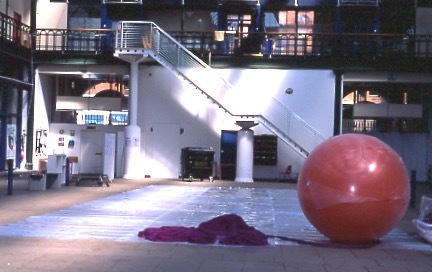 Cries and Whispers has since been acquired by MoMA for the permanent collection. Addressing themes that are profoundly personal and enduringly universal, Cries and Whispers, titled in reference to Ingmar Bergman’s 1972 film of filial love and loss, is a touching portrait of our need for a mothers love and protection; exploring the physical and emotional security provided by the familial bond. 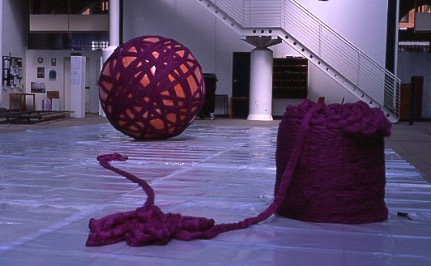 Conceived by Robb following the loss of his twenty-nine year old sister, shortly after the birth of her daughter, the self-supporting spherical felt form is intended to replicate a mothers love from the moment of conception, the security provided by the womb, through to the love we receive, overtime, from those who nurture us. 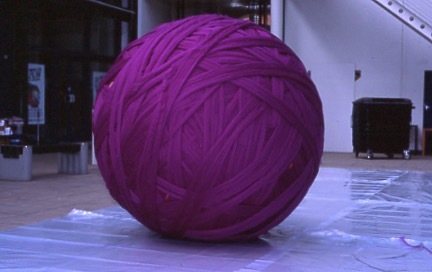 Inspired by Mongolian nomads method of creating felt, used for yurts, Robb wrapped 40 kilos of wool around a large sphere, which he rolled around a Glasgow public park for 7 days. The rolling process transformed the wool into a powerful shell of felt, a material renowned for its versatility, strength, and warmth. The physicality of this traditional and communal method of production provided a cathartic process for the artist, for whom it was integral to the conception of the piece that the physical act of creating the sculpture be a means of enacting a healing process.